갤럭시(Galaxy Resources Limited)는 리튬 및 탄탈륨 중심으로 산업 광물자원을 생산하고 있습니다. 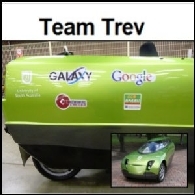 Google Inc. (NASDAQ:GOOG) Australia은 Team Trev의 전기 자동차 글로벌 레이스를 후원하기로 했다. ‘Trev(2인승 재생 에너지 차량)’는 재생 전기 에너지 자동차를 이용하여 전세계를 배출 가스 없이 주행하는 제로 레이스(Zero Race (http://www.zero-race.com))에 호주 대표로 참가할 예정이다. 오늘 ABN Newswire의 관심주은 Iron Road Limited (ASX:IRD), Galaxy Resources Limited (ASX:GXY) (PINK:GALXF), AusTex Oil Limited (ASX:AOK), Beach Energy Limited (ASX:BPT) (PINK:BEPTF), Kairiki Energy Limited (ASX:KIK) (PINK:KAIRF), Magnetic Resources NL (ASX:MAU), Pluton Resources Limited (ASX:PLV)입니다. 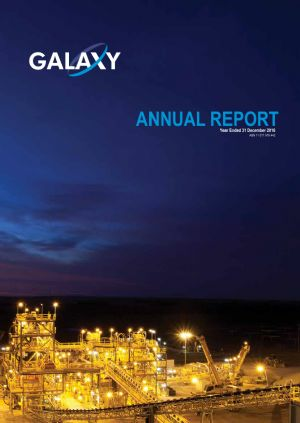 오늘 ABN Newswire의 관심주는 Galaxy Resources Limited (ASX:GXY) (PINK:GALXF), Conquest Mining Limited (ASX:CQT) (PINK:CQMLF), Australian Bauxite Limited (ASX:ABZ), Benitec Limited (ASX:BLT) (PINK:BNIKF), AusTex Oil Limited (ASX:AOK) (PINK:ATXDF), Bandanna Energy Limited (ASX:BND), WestSide Corporation Limited (ASX:WCL), Texon Petroleum Ltd (ASX:TXN)입니다. 오늘 ABN Newswire의 관심주은 Pike River Coal Limited (NZE:PRC) (PINK:PKRRF), Beach Energy Limited (ASX:BPT) (PINK:BEPTF), FerrAus Limited (ASX:FRS) (PINK:FRRAF), Republic Gold Limited (ASX:RAU), Galaxy Resources Limited (ASX:GXY) (PINK:GALXF), Mission NewEnergy Limited (ASX:MBT) (PINK:MIBFF)입니다. 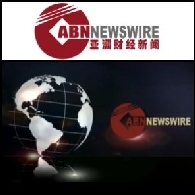 오늘 ABN Newswire의 관심주는 Pan Asia Corporation Ltd (ASX:PZC), Texon Petroleum Limited (ASX:TXN), Republic Gold Limited (ASX:RAU), Galaxy Resources (ASX:GXY), Stirling Resources (ASX:SRE)입니다. 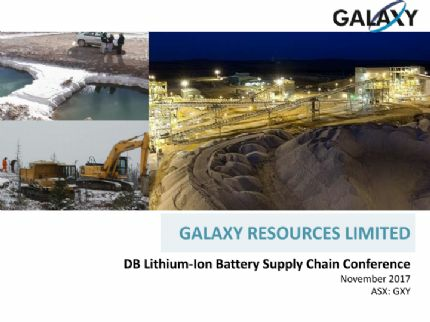 오늘 ABN Newswire의 관심주는 Magnetic Resources NL (ASX:MAU), Galaxy Resources Limited (ASX:GXY) (PINK:GALXF), NewSat Limited (ASX:NWT) (OTC:NWTLY), AusTex Oil Limited (ASX:AOK) (PINK:ATXDF)입니다. 오늘 ABN Newswire의 관심주는 SAI Global Limited (ASX:SAI), Galaxy Resources Limited (ASX:GXY) (PINK:GALXF), Dynasty Metals Australia Limited (ASX:DMA)입니다.